Regretfully I missed the first talk. We will start with the second panel from the event. This is a live blog and will have errors. It is typed as the day goes. Craig started by defining invasive and then explained a few examples such as brown tree snakes. Invasive species are second most destructive to native species. Managing invasies is a pathway management. Using Zebra mussles as an example (these things such). The look at 3 primary pathways. Transportation, living and miscellaneous Most species are not harmful. 4/7/17 ruling determines that the agency did not have authority to stop interstate transport. 296 species are listed because they can establish and cause hard. 18 species were areadly estabilished but no unestatablished species have established. 10 species of the estabilished are considered contained, 7 spread beyond original range to multiple states. 1 species (a sparrow) reduced its range. USFW realizes they need to do to fairly manage risks and he hopes the pet trade will continue to be valuable asset. Bill brandt questions the seperation between plant and animals on the large cost of invasie, specifically asking about the impact cost of reptiles in comparasion to the total $ and the USFW has no clue what portion of cost of invasives can be pinpointed to any specific taxa that they list. Primarily a fish guy, has dealt with reptile cases and is currently working on a case of seizure of reptiles in Germany that originated in US. Huge problem, wildlife trafficking is a major source, transit and consumer of illegal wildlife. We are "blessed" with a suite of laws that they can use to combat wildlife trafficking. Eu looking to enact lacey act law. ALmost every country is part of cities and everyone plays by the same rules. Important information of cities. Make sure all paperwork is filled out PROPERLY, package properly IA complaint AND your cities permit and you will be fine. IF an agent comes to talk to you best advice is either be honest or be silent. No inbetween. USFW deals with both legal and illegal shipments and deals with more proper and legal. Money in US species. Currently major issue with US export illegally to asian food markets. Panel 2 - Topic 3 - A common Sense review of the constrictor rule and injurious listings. Phil broke down exactly what happened and the changes through the few years. Our law suit broke the interstate trade, this is the 4th congress that has tried to prohibit interstate transport to make what we will have now go away. Current bills are on the table again and USARK is still working on it. What has changed is no importation into the country and affected states (Texas and florida who both have laws on the table) We are always under watch. There has to be a better path in place before the laws change and phil is hopeful for inter-organizational partnership moving forward instead of us fighting. Panel 2 - Topic 4 - Florida perspective on invasive species and changes to Lacey Act. Biggest take away is how much the govt officials want to work with the pet industry portion. After lunch break we started up the next session. After realizing a 3 piece suit may have been overkill for our group (but it was a nice suit) he broke down the hows and whys of all the different acts of invasive species. The biggest reason they look at invasive is more for the damage it can do not only to the environment and native prey items as we have heard from florida with the burmese, but also with things such as loss of life to natives due to habitat destruction from management processes to get rid of the invasive items, but also disease transmission and competition for prey items. Most invasives are addressed to prevent harm to agriculture industries, but there are too many gaps in organizations within the govt and they are limited as to what organization can do in issues. The laws are fractured and incomplete, which may not address our issues in the reptile community, but also other groups. I seriously could not keep up with his list. A few pieces of legislation we need to keep an eye on, HR 7005, The wildlife Disease Emergency act and also the two par HR 6362 and S3210, Invasive Fish and Wildlife Prevention act WHICH would close some of the lacey act gaps and could potentially cause issues with the Python law. Marshall Meyers asked where we could find a complete list of regulated species and guess what? There is no single centralized list of all agencies. They are "working on it". Touching on the GA non-game species, the call the law the unlucky 14. These are the animals that you can do whatever you want. Now funny thing, they regulate something called Spring Lizards. Huh, mostly salamanders but working to try to change it from SPring Lizards to Salamanders, it wasnt seen as a priority because there was a conservation concern. In 1999, PARC was formed and in 2002, PARC released mdel state herpetofauna regulatory guidelines and that helped create momentum to push some of the changes thru. IT took several attempts and actually tabled. The Turtle crisis happened and once species declined in Asia, it gave GA the push because their species rapidly started declining. With no regs to limit how much was taken, that was finally what got the push. Working to reforming rattlesnake roundups because they are disgusting. Breakdown, the hunters bring in snakes that are counted, weighed, sorted, and then they are collected. The hunters are paid for their bounty. For the most part these events are like the county fair and it is hard to find the snakes when you are there. What does NOT happen in GA. No public killing or skinning of snakes. The animals do die, but always after the event and humanely. There are no games with how many can fit in bags or how brave they can be. Basically this aint Sweetwater Rattlesnake Death Camps and it helps provide an educational outreach and since there are no regs to hunt, at least they can track species. Touching on the damage of gassing the burrows. In an attempt to further end the killing, DNR offered to help adjust, provide animals so that wilds were not dying. Petitions to list EDB and gopher torts as protected species and in their petition directly addresses the damage from the roundups. Finding an obscure law that states that wild animals can be only exhibited for sole education purposes. This was the catalyst for changing the Claxton Round up to a Wildlife Festival. "The human animal bond goes beyond the cute and fuzzy" HELL YES! Josh broke down who and what PIJAC is after he made this glorious statement and explained how they work with free handouts, and things to schools and pet shops. They are currently tracking 387 issues with species i general with 50 issues directly impacting herps. OH yeah and the human animal bond exists within owning reptiles too. Sorry, that made my day. The partnerships with PIJAC, USFW and National Oceanic and Atmospheric Admin to help do outreach. He broke down the website of the campaign. It helps with educational tools as well as things like establishing educational programs to help prevent people from releasing all pets. Now they are rebuilding and looking to extend to almost anyone to help reach out against invasives. Their goal is also to get the info about habitatitude info on all cages sold as well as handouts. It is currently a work in progress but it is important to get more people, academics, organizations and businesses on board. Each speaker has been asked about what experiences they have had to change laws. Bob Ashley tells of how the Michigan Herp Society used to host pizza parties for local legislators and has concerns about the current view of reptiles projected by nature programs. 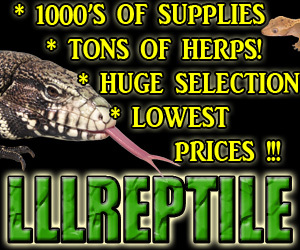 Rich talked about his time as a child looking at reptiles i the wild in southern IL. Coming up at a time before the interwebs, he has found that being with other like minded reptile people in the herp society gives him the opportunity to bridge gaps. Kipp is involved clearly as a job, but he was a kid who grew up watching wild kingdom. He was inspired to wildlife biology. His childhood dream has become his career and he is thankful. As a child he had a green iguana, red tail, an indigo snake and 4 red spotted newts named Enne, Meanie, Minie and Mo. When his son was born, again reptiles came back to the house. Josh had a school program called Reptiles Alive that came to his 5th grade class was his eye opener as to them being pets and it took quite some time before he really found a way to make a difference. While not a reptile keeper, they inspire him because he sees what animals in our lives do. While John currently doesnt keep any reptiles, he remembers his pair of snakes, Pebbles and Bam bam from his childhood and has always been interested in the. Craig has had many different pets from fish to soft-shell turtles to dogs. Panel question, what is the best forum to tackle the dealing with the academia, agencies and public. Rich works in a scientific community and sees a lot of public/govt collaboration. For the CHS they also have a connection to the Chicago Academy of sciences and that helps expand our reach into the public and academia section. The best way to breach that gap is the passion and knowledge will help open doors and with laws it is hard so you need a long term core of people working to spread your message. You have to alter your message to each crowd but also their prime players. Curt commented on how well the affiliation with florida keepers, businesses and agencies work regularly together and has been very successful. It also sounded as he was explaining some of the people he works with, he has a group of a lot of people with interest in animals first while they work together. Craig mentioned that the public and private bridge has been so very important. With water invasives, they spent so much time pulling and sterilizing boats and talking with people The first few conversations did not go well, but once they were able to work together now the public, business and government are working together to reduce risks. Josh mentioned the importance of bring the animals to children and putting animals in their hands. Discussing citizen science intially drew silence when asked if we know of events or partnerships. I actually raise my hand and shared the counts taken at previous snake days by field herpers and turned into TPW. Rich popped in with a variety of programs the CHS has been inolved in, including buying property, hosting frog calls and how the junior herp society has brought more families who want to get out into nature. John mentioned the GA herp atlas for citizen scientists When it started it was back when people took photos and had to take in to be developed. Every person who helped with the book got credit. A very succesful program they had lost USGS funding. Early detection would be beneficial for people to help catch early on invasives to prevent spread and perhaps manage before they become established.